De richtlijnen voor hygiënische tatoeage, piercing en permanante make-up worden uitgegeven door het RIVMRijksinstituut voor Volksgezondheid en Milieu en zijn te vinden op www.lchv.nl. Om de richtlijnen begrijpelijker te maken zijn er filmpjes gemaakt die belangrijke onderwerpen uit de richtlijn in beeld brengen. Deze filmpjes zijn gericht op tatoeëerders, maar zijn ook voor de andere gebruikers interessant. 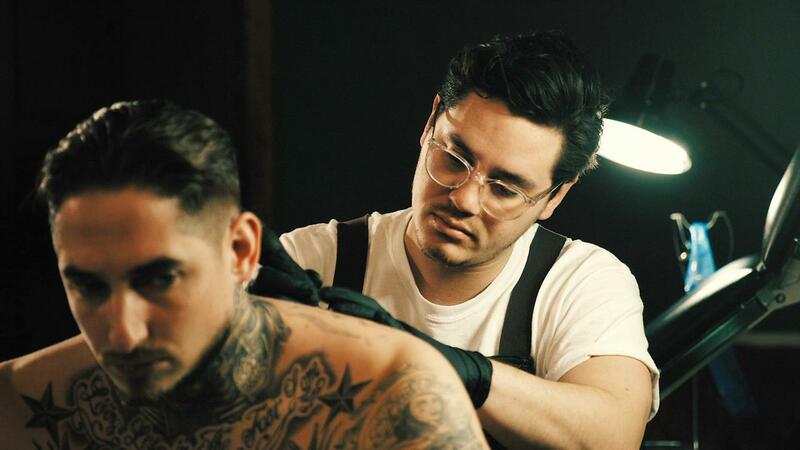 As a tattoo artist, you love your craft and you guarantee the quality of your work. A rapid recovery of the tattoo is very important for the final result. Working according to hygiene standards is part of your craftsmanship. Working hygienically means washing your hands at fixed times and in the right way. Hand hygiene is one of the most important measures to prevent the spread of pathogens, such as hepatitis B. Just before and after tattooing. Before and after tending to the tattoo. Before and after wearing gloves. If your hands look or feel dirty. After going to the toilet, coughing, sneezing or blowing your nose. Wash your hands with running water and liquid soap. Dry them with paper towels. If your hands don't look or feel dirty you can also opt to disinfect them, instead of washing them. Use a hand disinfectant with an N number. After washing your hands, wear gloves made of powder-free latex or nitrile. Check to see if both codes EN 455 and EN 374 are on the box. Then you know you've got the right gloves. Should you or the client be allergic to latex, use nitrile gloves instead. 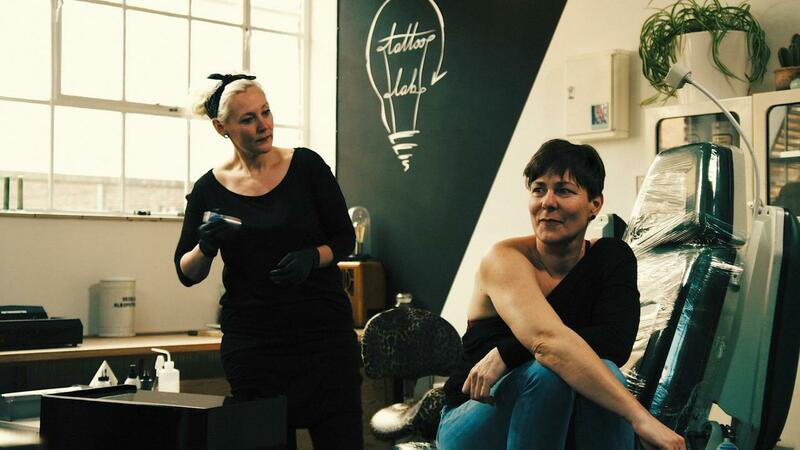 The hygiene standards for tattooing can be found on the RIVM website. There you can read the rules once more. Working hygienically means protecting yourself and your clients against blood-borne diseases. Ask your client about allergies or other conditions. Check if their skin is healthy. Before placing the tattoo, give your client written information on the risk of infection and other complications. Have your client sign a consent form. You will sign this too. In doing so, you declare working according to hygiene standards. Hand your client a copy of the filled-out form. If you don't work hygienically, bacteria and viruses can easily spread and will end up contaminating your workplace. If you prick your finger on a used needle you risk contracting a blood-borne disease such as hepatitis B. Because hepatitis B is so contagious, it pays to get vaccinated. After three jabs, you will be protected for a long time, or for life. If you prick your finger, let the wound bleed out and rinse it properly. Stick a plaster on it and contact your GP or the local Public Health Service. Dispose of used needles immediately in the UN needle container. The container should contain the UN hallmark and the number 3291. Working hygienically means cleaning work surfaces, materials and instruments as well as disinfect or sterilise them. You do this after placing each tattoo. This prevents the spread of bacteria and viruses through the workplace. Surfaces, materials and instruments that haven't come into contact with skin and aren't contaminated with blood a simple clean with an all-purpose cleaner will do. Surfaces and materials that have come into contact with skin or blood must be disinfected. You do this after cleaning. For example, your work surface, armrest or Allen key. Always use a disinfectant with an N number which can be found on the packaging. Make sure you give disinfectants enough time to kill viruses and bacteria. Do not rub it dry immediately. The label tells you how long it needs to set and how to use it exactly. Clean your instruments with different kinds of brushes. After that, they go into an ultrasonic cleaning bath. Follow the instructions. Instruments that have been sterilised, have to dry first after cleaning. Once dry, you stick them in sterilisation bags. Working hygienically means using the right disinfectants in the right way. Before placing the tattoo, apply skin disinfectant on your client's skin. You can recognise authorised disinfectants by the RVG number on the packaging. We advise against using skin disinfectant for disinfecting your own hands. 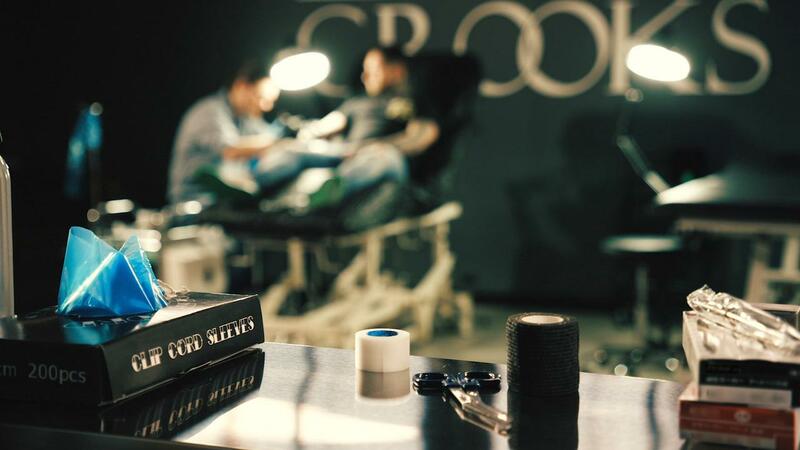 After tattooing, disinfect materials and surfaces that may have come into contact with blood or ink splashes. Only use disinfectants that have been approved by the Ctgb. Approved products can be recognised by the N number or the NL code. Also check if it works against viruses and if the product is intended for what you want to disinfect. Store the product in its original packaging and follow instructions carefully. Always wear gloves when disinfecting and wash your hands afterwards. There you can read the rules again. 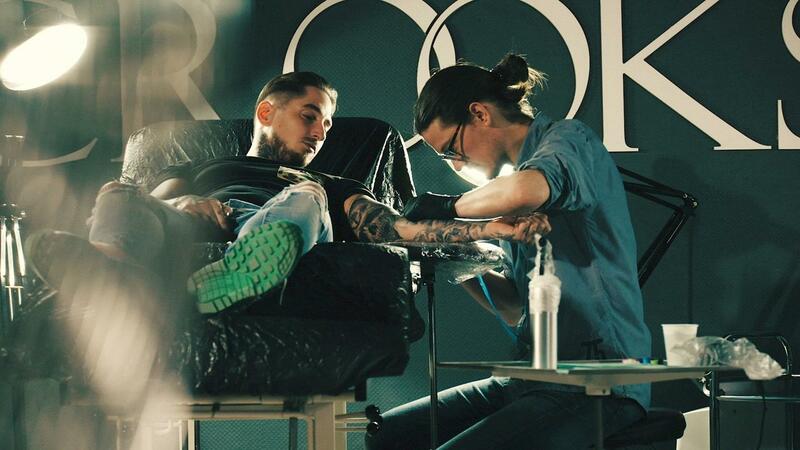 Working hygienically means taking proper care after the tattoo once it's been placed. There are four ways of doing this: Wait for the tattoo to stop bleeding or dab it dry with tissues or paper towels. Before tending to the wound, wash your hands and put on clean gloves. Apply an appropriate aftercare cream, like white Vaseline. Do this wearing gloves or with a clean spatula. You can cover the cream with cling film. Your client can remove the film a couple of hours later. Tell your client to not remove the film for four to six days. The wound will heal without any scabs. Cover the wound with gauze and secure it with an adhesive plaster. Be sure to not use masking tape. Cover the tattoo in plaster spray and keep the right distance. This will protect the tattoo for three to five days. Advise your client on how to take proper care of the tattoo back home. Give them this information in writing. Meer informatie over deze filmpjes kun je vinden op https://www.nvwa.nl/hygienischtatoeeren.